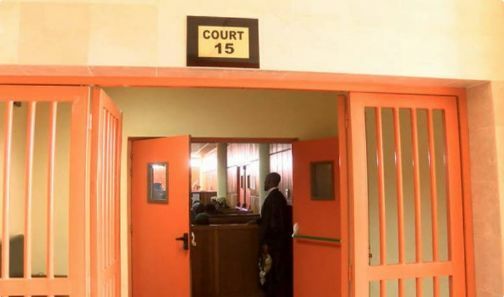 Two friends, Hassan Ibrahim, 50 and Adamu Idris, 60, who allegedly r*ped a 17-year-old girl, were on Tuesday remanded in Katsina Prison on the orders of a senior magistrate, Falila Dikko. Ibrahim and Idris, both residents of Unguwar kasha Village in the Kafur area of the state, were accused of being responsible for their victim’s seven months’ pregnancy. The senior magistrate directed that the duo should be remanded in the prison custody till January 24, 2018 when their case will come up for mention. The two men are facing charges of criminal conspiracy and r*pe, which the police said are contrary to sections 97 and 283 of the Penal Code. The r*pe was said to have been reported at Kafur Divisional Police Station on November 10, 2017 by the victim’s elder brother, Sirajo Aminu. Police prosecutor, Inspector Sani Ado, told the court that investigation was still in progress and pleaded for an adjournment.